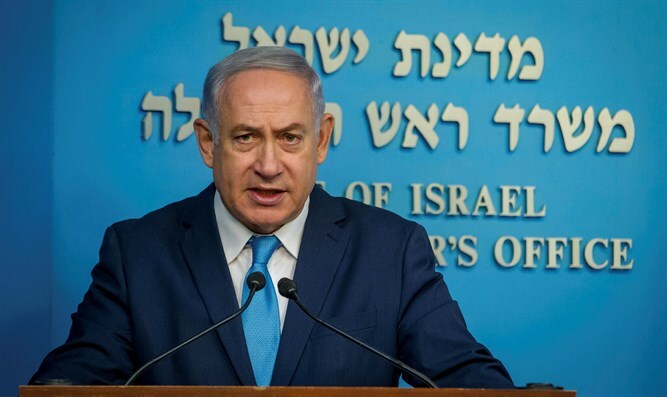 Prime Minister Binyamin Netanyahu warned Iran and Syria that Israel will not tolerate “acts of aggression”, referring to Iran’s firing of a missile at the Golan Heights Sunday, nor will Israel accept Iran’s continued presence on Syrian soil. Speaking at the opening ceremony of Ramon Airport in southern Israel Monday, Prime Minister Netanyahu discussed Israel’s retaliatory attacks on Syrian and Iranian forces in Syria overnight, following an Iranian missile attack on northern Israel Sunday. "Last night the air force strongly attacked Iranian targets in Syria after Iran launched a missile from there at our territory,” Netanyahu said. Netanyahu blamed Iran and Syria for the latest escalation, saying Israel would use force against any power which threatens the Jewish state. “We are acting against Iran and against the Syrian forces that abet the Iranian aggression. Whoever tries to hurt us – we hurt them. Whoever threatens to destroy us will bear the full responsibility." Iranian forces fired a rocket at northern Israel on Sunday, which was intercepted by Israel’s Iron Dome anti-missile system. The Russian military claimed that Syrian surface-to-air systems provided by Russia had downed seven Israeli missiles fired at targets in Syria. In response to the rocket attack, however, Israeli forces pounded multiple Iranian and Syrian targets, reportedly killing 11 soldiers.